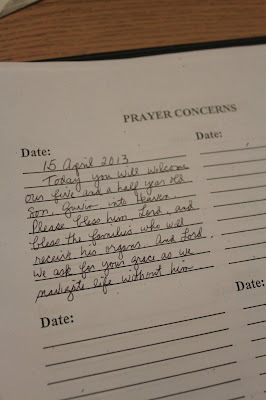 On this day last year, our son officially became a hero when we made the decision to donate his organs. Please read about our experience... and the magic that happened in the days that followed. I hope, with all my heart, that reading our journey... Gavin's journey... will inspire you to register yourselves as organ donors and talk to your loved ones about your wishes. The more people that know your decision, the better. And please - if you have children - discuss the "what if" scenario with your spouse or partner. It's a terrible thing to think about, but trust me... you'd much rather have a decision like this made ahead of time. We did a lot of playing, doing puzzles, hugging, hide and seek and kissing. And then the phone rang. 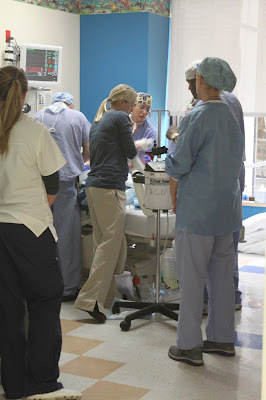 Ed motioned to me that it was the transplant coordinator with news. The two of us got extremely flustered as we grabbed paper and pens and tried to figure out where we should go to talk. We decided to run down the basement and put her on speaker phone so Brian wouldn't overhear. Ed and I were a wreck. I remember that night like it was yesterday. When we got the call that Gavin's liver couldn't be used. I was crushed...and so, so devastated for the mother of that "little boy in Texas." Because of my blog - and my oversharing - I ended up being connected with that Mom. Her little boy? His name is Miles. We had email exchanges that changed both of our lives... and, in my opinion, many other lives. You can read about it in THIS post. (Please do!) You'll be happy to know that Miles ended up getting a new liver not long after Gavin died and he is doing so, so well. 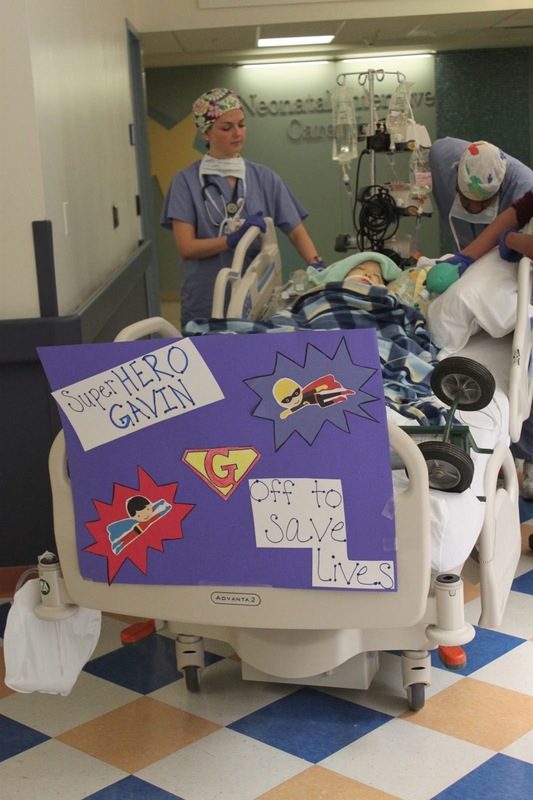 Gavin's story - and that iconic photo outside of the operating room - spread all over the world. Over this past year, I have received thousands of emails from donors and recipients thanking me for sharing. That's really all I have done - share. I don't deserve any credit or praise. Sharing is free - and reading is free - and the meeting of the two has created magic this year. 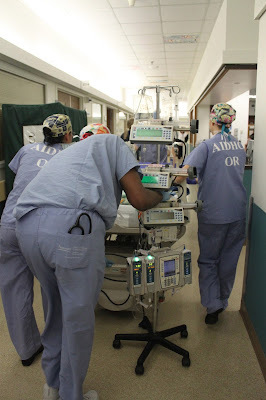 Organ recipients, who sometimes carry a burden of guilt that their gift came at someone else's expense, felt their burden lifted upon reading that it was a "privilege" for us to go through the organ donation process. 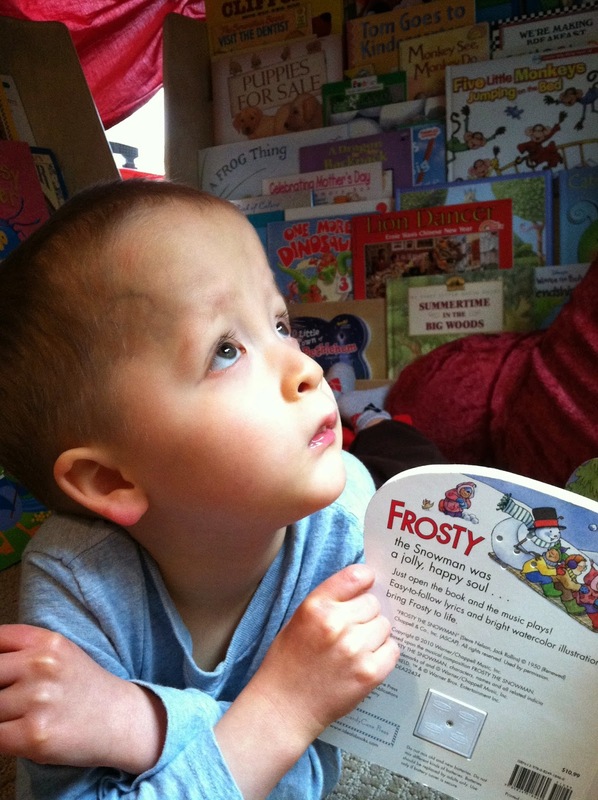 And families of donors like Gavin felt their grief eased a bit upon reading our perspective. This, to me, is the single best thing that could come out of this awful tragedy. And every single time I get a message or see a comment or someone tells me that they became an organ donor because of Gavin...I feel such immense pride to be his Mommy. I don't know anything about the man that received Gavin's kidneys, and that's okay. I wrote a letter on this blog that you can read HERE. Perhaps it will reach him somehow - and perhaps he will never see it and never reach out. Either is okay. I pray for his health often. That day was tough. I had never left that hospital without Gavin. Knowing that I was saying goodbye to him as they wheeled him into surgery...and that I wouldn't be waiting for him in recovery...it was very painful. I knew that after the surgery they would be removing the ventilator and it would be then that his heart would beat for the very last time. It wrecked me that I couldn't be there for that final moment. Even though Gavin was brain dead...and really not "there"... I still wanted to be there. But I couldn't. Our incredible nurse, Dawn. She was there for the organ harvest and after it was over she stayed. 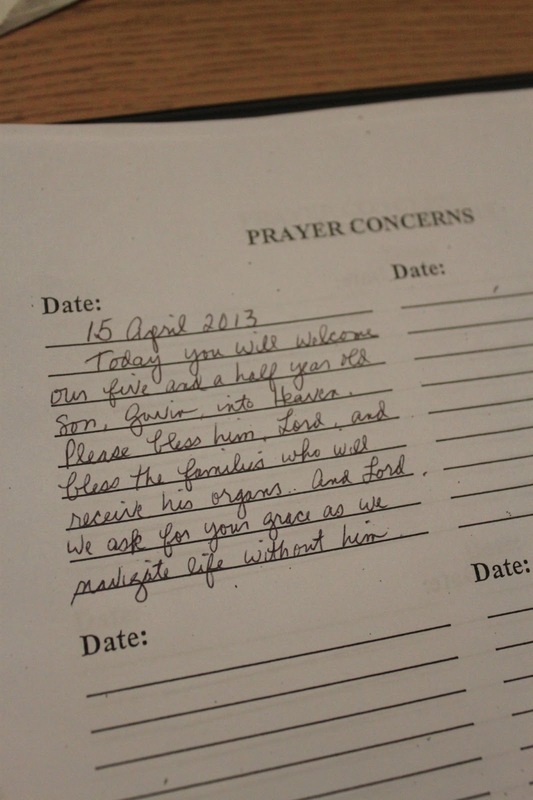 She cleaned up our precious son's body and, in an act of pure compassion and selflessness, she sang to him. She knew that I always sang to him...and she knew his favorite songs...and she sang my son into Heaven. I will never, ever be able to repay her. And if she is reading this, I want her to know that not a day goes by that I don't think about her beautiful gift to this grieving Mom. And she sang him into Heaven....this is so heartbreaking and heartwarming all at the same time. I don't think I would have the grace or strength, as you do, through the loss of my child. I am always in awe of your posts. 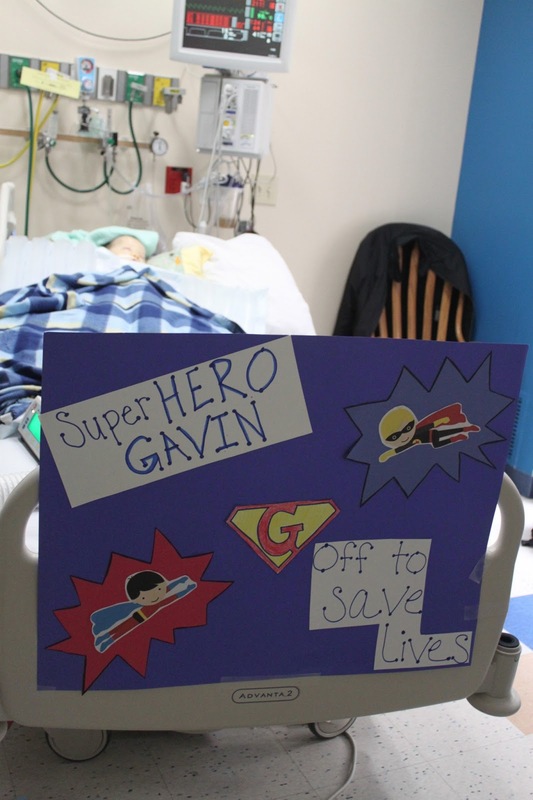 Thank you for sharing Gavin, and your precious family with us. And she sang him into Heaven....so heartbreaking and heartwarming at the same time.I don't think I would have the grace or strength, as you do, through the loss of my child. I am always in awe of your posts. Thank you for sharing Gavin, and your precious family with us. Kate, I have read your blog for so long and never commented. As I sit here with tears running down my face, I just feel the need to tell you that you have not only inspired me, but so many many others with your heartfelt and beautiful gift of writing, about a beautiful super hero that has touched so many lives without every trying. Thank you for your honesty and your beautiful soul. We are all so blessed to have you in our lives. I know you don't write for "us" but I look forward to reading your words daily, as they are a reminder of how beautiful life is. My sentiments too..."and she sang him into Heaven"...how so very bittersweet. And such a sweet send-off for your dear little boy. You relished in every single moment you had with your beloved Gavin. Through tears, please know that prayers are with you and your family, always. My 16 year old son made the decision to become an organ donor yesterday. He said when I die, i won't need them but some one else might. I'm so very proud of him. Thank you Gavin for being such a great role model. And like always your blog once again reminds me in big bold letters that EVERYTIME! as long as you look for it LOVE WINS! How you live your life- as a testament to your son's spirit -speaks that over and over again. Thank you for always reminding this Mom this mom to look for how loves is winning! Your post brought tears to my eyes and I pray for your family every day! Thank you for sharing your beautiful family with all of us!